It is close to the village Kallithea in a dominant position, into a wholegreen region. Its founder was the monk Ioakeim (1652) as it is written on the gate of the church. 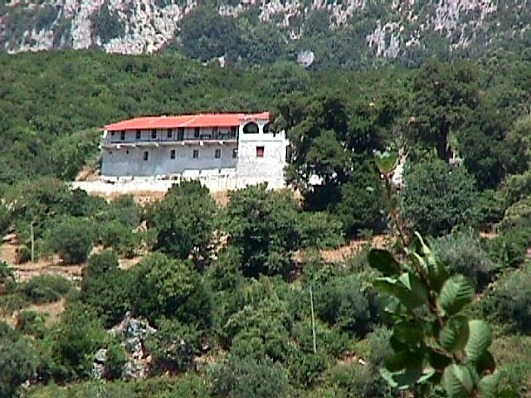 It is said that the monastery was a glebe of the big cave of Kalavryta. It was a wealthy monastery and a centre during the National Wars. Its history is not famous because its heirlooms and the records were hiiden in 1944 (during the Second World War) by the priest Chis and after were lost. The architcture of the temple was initially basilica with a dome (that collapsed). 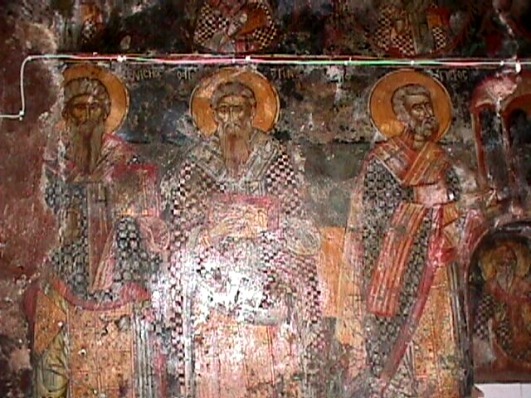 The wallpaintings are from different periods, 17th and 19th century, and of excellent technique. The older ones are those of the holy gate (16th – 17th century). The best of them is the icon of the Dormition of Virgin Mary. The holy gate seems that was preserved by the older existing church during the renovation in 1652. Behind the temple is the cemetery of the bishops Iosif and Amvrosios. It was a monastery for men that was dstroyed in 1944, and it was abandoned until 1962, the year of its renovation. Moreover, recently it was renovated once again. The monastery celebrates on August 15th.